Tony Stokes was a product of the West Ham Youth set up and after signing his first professional contract in July 2005, joined the Diamonds on loan from at the age of nineteen on 6 January 2006. Although the loan period was initially for one month, this was extended to an end of season loan. Stokes had impressed in the centre of midfield, where he was playing as an attacking midfielder and could also play in attack. He returned back to West Ham United at the end of the season. During the following season, he went on loan to Brighton & Hove Albion in August 2006, before spending two months with Stevenage Borough the following year in November 2007. He remained reserve team captain for West Ham on his return. On 19 February 2009, he went on loan to FC Ujpest of Hungary until the end of the season. After being released by the Hammers, he returned to the Hungarian side for the following season, returning to the UK in the summer of 2010. 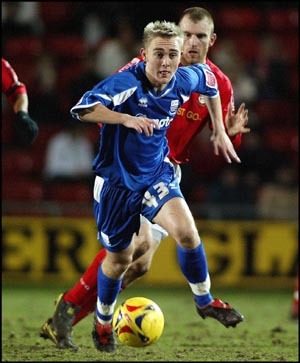 Tony joined newly promoted Ryman Premier side Concord Rangers on 20 July 2010. At the end of March 2012, he signed dual registration forms with Conference South side Dartford until the end of the season. He stayed with Concord Rangers until October 2015, when he made the short transfer to Canvey Island. He returned to Concord Rangers for a short spell before joining Bowers & Pitsea in the 2017-18 season. In early 2018 he joined Brentwood Town, His Wikipedia page is here.